WASHINGTON (Reuters) -- German auto supplier Robert Bosch GmbH has been accused of conspiring with Volkswagen AG to evade diesel emissions standards in at least 11 million vehicles worldwide in a class action lawsuit filed late on Monday. The lawsuit filed by a New York diesel owner in U.S. District Court in Detroit names Bosch -- the world's largest auto supplier -- along with VW, former VW CEO Martin Winterkorn and VW U.S. chief Michael Horn. "Volkswagen's fraudulent scheme was facilitated and aided and abetted by defendant Bosch, which created the software used in Volkswagen's defeat device," said the 56-page lawsuit, which accuses the parties of violating civil racketeering laws and consumer fraud. "Bosch's 'Hear no evil, See no evil' rationale for knowingly profiting from Volkswagen's crimes does not enable Bosch to escape civil liability under American law." Reuters reported last month that federal prosecutors with the U.S. Justice Department are examining whether Bosch knew or participated in Volkswagen's years-long efforts to circumvent U.S. diesel emissions tests, citing people familiar with the matter. Bosch built key components in the diesel engine used in six Volkswagen models and one Audi model that the automaker has admitted to rigging to defeat emissions tests. The probe of Bosch is at an early stage and there is no indication that U.S. prosecutors have found evidence of wrongdoing at Bosch, people familiar with the matter told Reuters. 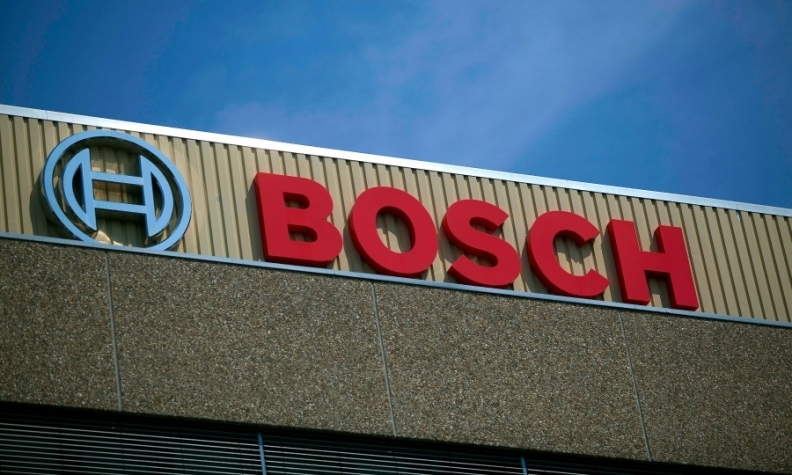 A U.S. Bosch spokeswoman declined to offer an immediate comment on the lawsuit. Bosch previously declined to comment on the investigation. Bosch also faces similar class-action lawsuits in Atlanta, Chicago, Cincinnati, Alabama and Alexandria, Va. The latest lawsuit says "as early as 2007, Bosch warned Volkswagen that using its software in vehicles that were driven on the road would constitute a criminal offense. Nevertheless, Bosch proceeded to sell or license 11 million of the component devices to Volkswagen over the next seven years." The lawsuit cited a report from Germany's Bild am Sonntag newspaper in September that said VW's internal probe had turned up a 2007 letter from Bosch that also warned against the possible illegal use of Bosch-supplied software technology. Under U.S. law, that would make Bosch a co-conspirator under anti-racketeering laws, making the company liable for triple damages for the fraud caused to U.S. consumers, the lawsuit says. A U.S. judicial panel will meet in New Orleans Thursday to consider consolidating more than 350 lawsuits filed against VW in connection with the emissions scandal. VW and the Justice Department want the lawsuits centralized in Detroit.